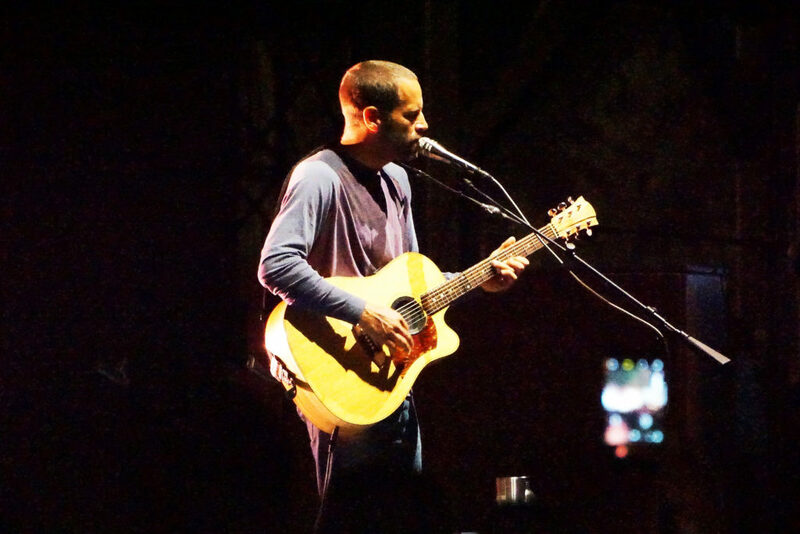 FamilyFarmed is a natural ally for star singer-songwriter Jack Johnson. An environmental activist, Jack was involved behind and in front of the camera in the documentary The Smog of the Sea, about the terrible damage caused by plastic pollution in the world’s oceans. 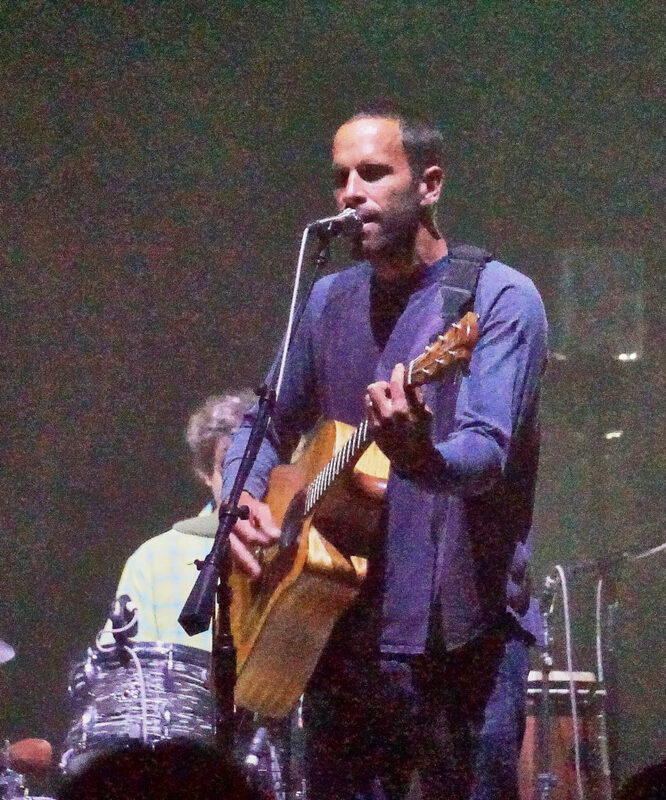 He is also a strong believer in sustainable food — which is the core of FamilyFarmed’s mission — and his crew connects with local producers to provide the backstage meals at all of his concert stops. 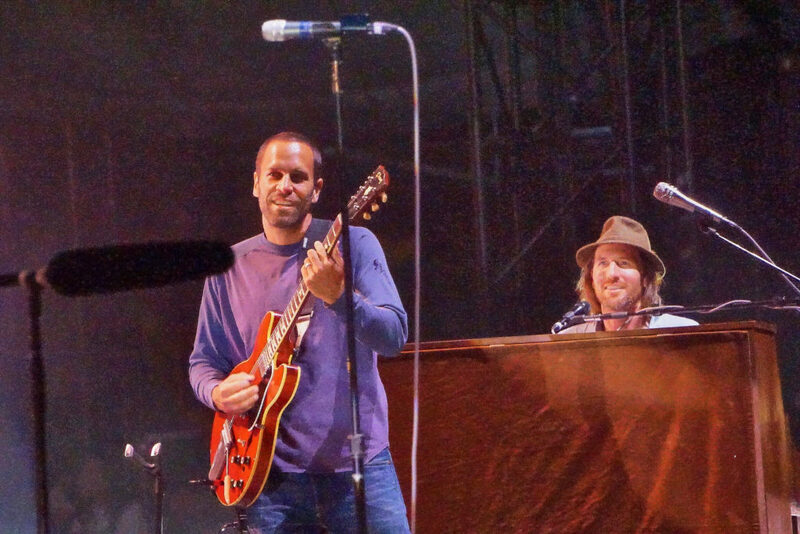 But FamilyFarmed learned that Jack Johnson is generous with something extra: his time. 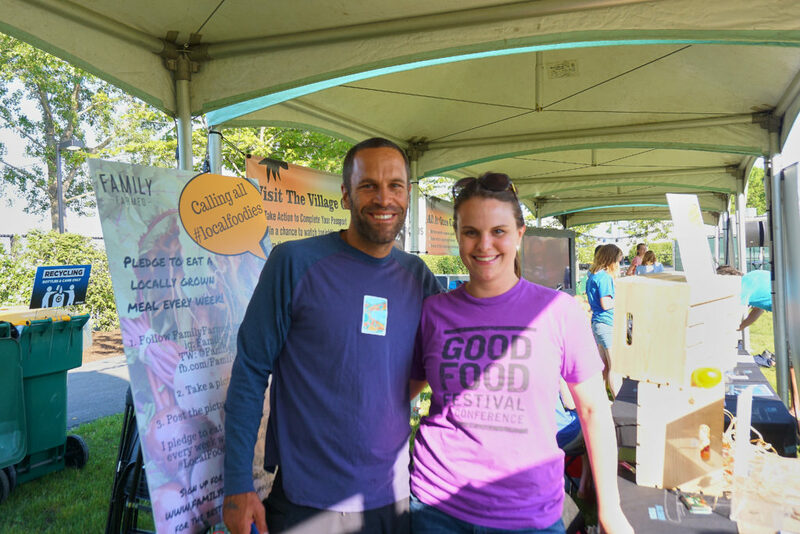 We attended his June 2 concert at Chicago’s Huntington Bank Pavilion to participate in the “Village Green” with other local non-profits, including our Good Food friends from The Kitchen Community and Growing Power. While many rock stars keep their distance behind phalanxes of security, Jack warmed up for his show by making a connection with his fans. 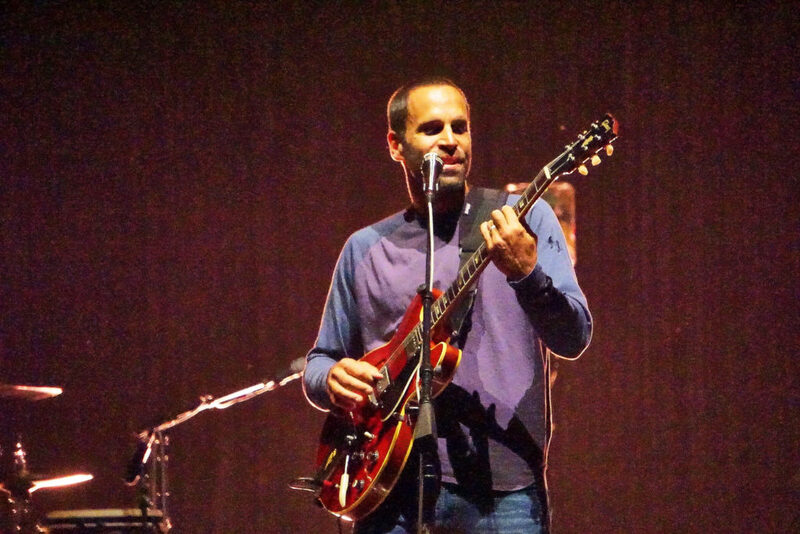 The All At Once Network has designed an engaging way to steer fans to the non-profits at the Village Green, a fixture at each of his concerts. 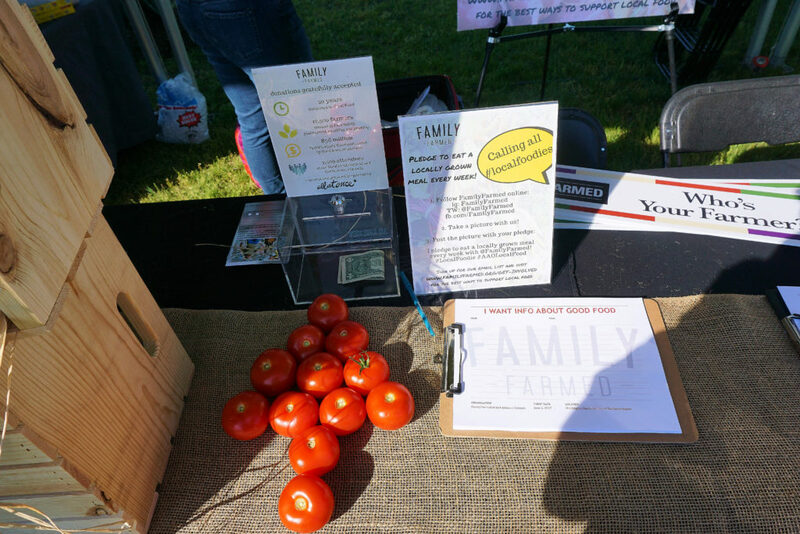 Attendees can download an app that allows them to collect virtual “stamps” for taking actions that show their commitment to or willingness to learn about environmental protection and sustainable food. Among those tasks were talking to a non-profit or making a donation to a non-profit. Dozens of people took the opportunity to learn about FamilyFarmed and our work with farmers and food entrepreneurs to help build a healthier, more environmentally sustainable and more economically dynamic food system; we made lots of new friends and harvested several pages of new addresses for our email list. 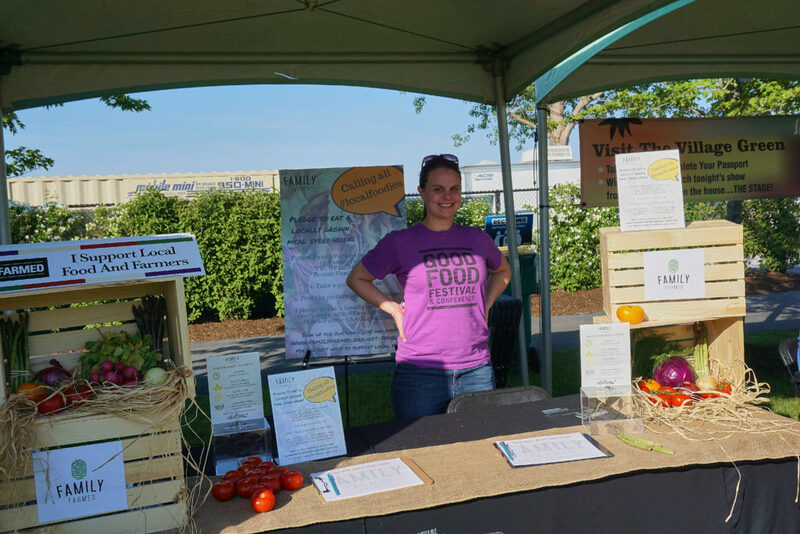 Katie Daniel, seen here, designed FamilyFarmed’s beautiful table display, which featured produce purchased as Chicago’s Local Foods grocery store. 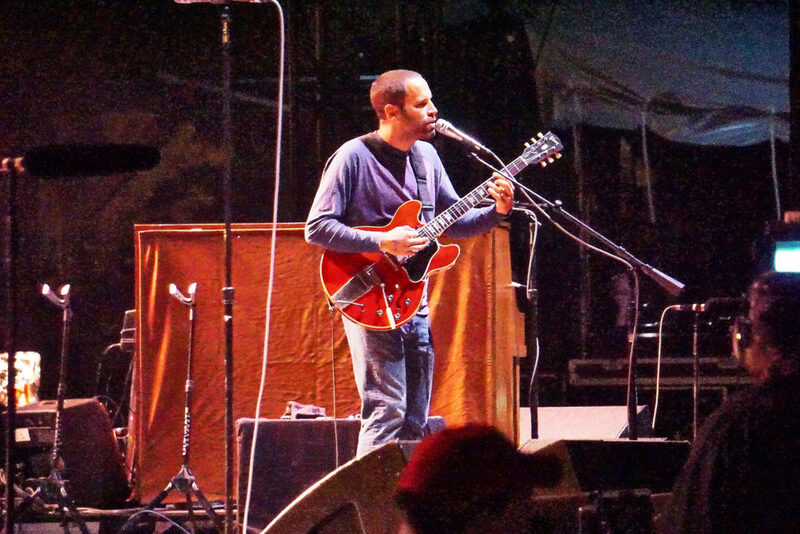 The evening was capped by Jack Johnson’s two-hour-plus set. His avid fans who packed the arena on Chicago’s Northerly Island — many of whom had traveled a great distance to attend — seemed to know the lyrics to all of his songs, and he accommodated them by playing just about all of his biggest hits. This entry was posted in Food activism, Food and community, Food documentaries, Food education, Good Food movement, Local Food, Sustainable food education and tagged All At Once Network, environmental protection, Growing Power, Jack Johnson musician, Johnson Ohana Foundation, sustainable food, The Kitchen Community, The Smog of the Sea, Zach Gill. Bookmark the permalink.